The Open Science Repository is inspired by the philosophy of science of Karl Popper. Read below to understand. The Open Science Repository puts into practice the philosophy of science of Karl Popper. Papers must describe the problems they are addressing, motivating hypotheses, critical discussion of test results and new problems that arise from the research. Science begins with problems (P) to which creative, bold theories (TT) are proposed as solutions. Theories (TT) must be objectively presented and exposed to critical discussion (EE), mainly comprising logical appraisal and empirical tests, from which difficulties and errors may be discovered. The discovery of new difficulties and errors by means of critical discussion (EE) reveals new problems (P) that need new, better theories (TT). 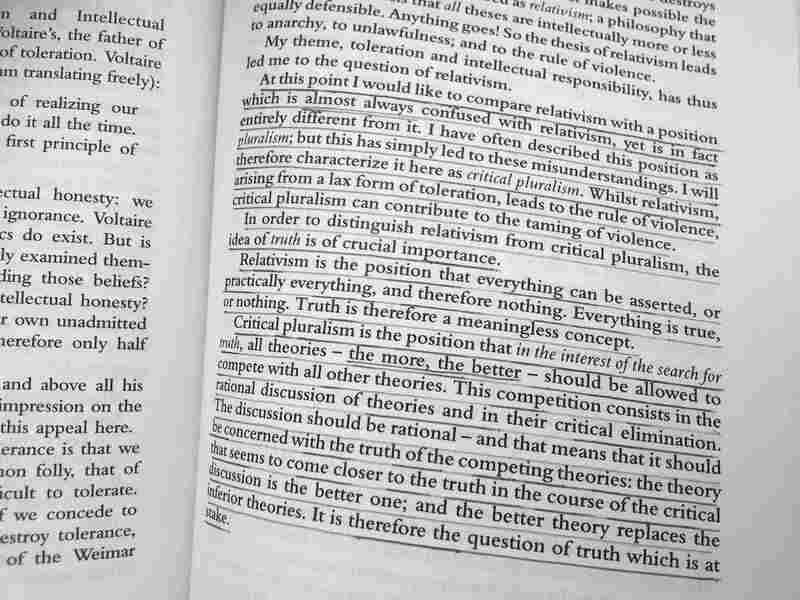 The critical discussion (EE) is guided by the idea of the existence of objective truth, which is the target of science. The progress of science comprises the discovery of errors and difficulties within current theories by means of critical discussion (EE), new problems (P) that emerge from such discovery and the new, better theories (TT) proposed after such process. Since errors (EE) may always be present, all scientific theories (TT) are conjectures. Even Einstein's gravity theory is a conjecture that can always be put under new tests. Although the existence of objective truth is the guide for the search and discovery of errors, certainty of reaching truth is impossible for us. Theories can always be wrong and never lose their conjectural, hypothetical status. We do not know things for certain. We can only say that, in light of the present critical debate of a problem, some theory is provisionally better than others; in other words, it is supposed to be less distant from the truth than its concurrent theories. This comparative critical discussion gives rationality to science. The progress of science depends on scientific theories being objectively formulated, for example, as research papers. Once objectively formulated, scientific theories and ideas become targets for critical discussion, which is the motor of science. Writing and publishing scientific ideas and arguments populate the world of objective intellectual contents which Karl Popper called "world three". With written and published scientific papers, old and new problems (P), theories (TT) and critical discussions (EE) are objectively described and turned into content of the world three, the world of science. The progress of science depends on the scheme of the scientific process (P → TT → EE → P) described above. Restricted access to scientific papers slows down the presentation of problems (P) and theories (TT), thus delaying the progress of science. Unrestricted, open access to papers permits everyone to interact with contents of the world three, as Karl Popper called it, learning from them and contributing to them. The world three, which contains the most important human products, must be accessible to everyone. It is everyone's heritage. The EE part of the scientific process is the motor of the progress of scientific knowledge. Better theories (TT) are proposed to address discovered errors or difficulties (EE) in old or current theories. New problems (P) are also revealed by such discovery. Since science progresses based on the discovery of difficulties and errors (EE) within currently accepted theories, all scientific papers must remain open to critical evaluation. Exposing papers to permanent open review is equally or even more important than open access for the progress of science.